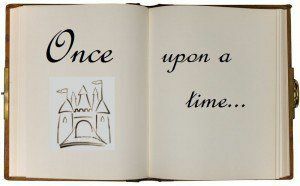 If you are interested in digital storytelling, here is a web tool that you can give a try with your students this year. Story Wars gives you the chance to start writing a story and then share it with others to collaborate on writing it. After signing up, you simply click to start writing your story, when you finish, you can invite your others to contribute to your story. If you want, you can invite people from Facebook and Twitter too. Once another person has added to your story, it has to be approved by you or the others who has contributes to the story before it is added to the story. With this tool, students can start writing their stories and adding chapters to each others stories as well. Or we can start the story and ask students to add onto it. We can also ask students to contribute to the stories that has been started. Like that, we will make them read and then write on the stories. Great way to practice reading and writing, also a great way to facilitate creativity of our students.